What are the potential benefits of a Global Pact for the Environment? 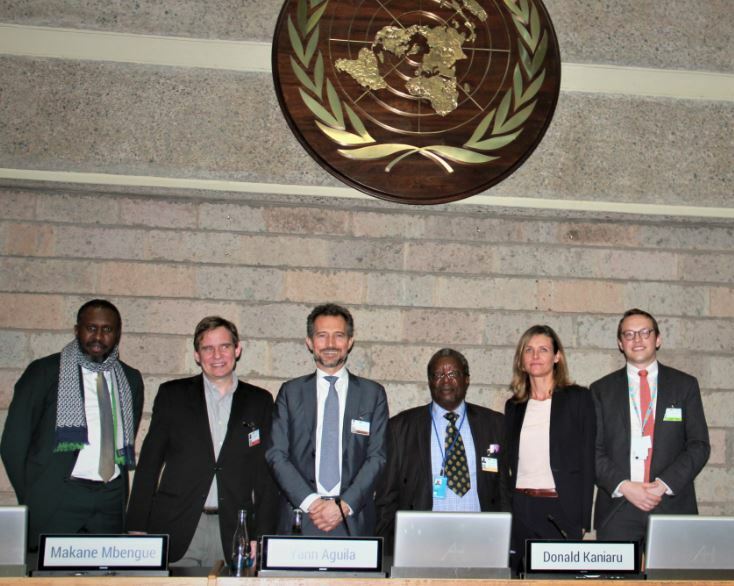 Benefits were highlighted by ICC at a side event held ahead of the second substantive session of the ad hoc open-ended working group (AHOEWG) towards a Global Pact for the Environment (Global Pact) which took place in Nairobi from 18-20 March. Following the United Nations (UN) Environment Assembly (UNEA4), the panel session took place on 17 March and underscored the pressing need for a general treaty on environmental law to address normative and implementation gaps, and the lack of clarity over the content and scope of many international environmental law principles. The International Chamber of Commerce (ICC) was represented on the panel of experts by ICC Government Relations Manager Raoul J. Renard, who engaged in discussions on the relevance to economic actors of a future Global Pact. Mr Renard joined Donald Kaniaru of the International Council of Environmental Law, who chaired the panel, and speakers Diego Colas (French Ministry for Europe and Foreign Affairs), Yann Aguila (Chair of the Environmental Law Commission of Le Club des Juristes), Antonio Benjamin (Justice of the High Court of Brazil), Makane M. Mbengue (Associate Professor of International Law at the University of Geneva) and Maria del Mar Requena (sustainable development expert). As a Permanent Observer to the United Nations and the world’s largest business organization, ICC has been observing the developments of the AHOEWG since its creation by General Assembly Resolution 72/277 in New York last May. During the panel discussion Mr Renard also said that the current Global Pact process represented an ideal opportunity to consider possible synergies between environmental law and other legal regimes, such as trade, investment and human rights. ICC has been actively advocating for greater legal regime coherence. At the 5th ICC Asia Pacific CEO Forum held in Jakarta last week, ICC Secretary General John W.H. Denton AO launched a new report of the Economist Intelligence Unit, commissioned by ICC as part of its World Trade Agenda Initiative in partnership with the Qatar Chamber. The report, entitled Climate change and trade agreements: Friends or foes?, assesses the degree to which the World Trade Organization and four contemporary free trade agreements support seven opportunities for boosting climate-friendly trade flows. Read ICC’s Global Pact for the Environment Primer and more about ICC’s involvement in the first substantive session of the AHOEWG on our website. The Pact is a preliminary draft of an international treaty which was initially developed by a group of international environmental lawyers seeking to address the fragmented nature and inconsistent implementation of international environmental law by bringing together its fundamental principles under one legally binding framework instrument.